For current updates on UVI-CLASS-VICCC events, initiatives, programs, colloquia and more visit /viccc-blog. Creation of digital archives to house and preserve existing VI cultural information, recordings, publications, productions and materials. Creation of and links to interactive websites that ease the accessibility of VICCC digital archives to the public. Development of a scholarly journal published annually with articles related to multi-dimensional aspects of VI and Caribbean cultures. Facilitation of systematic access to existing and developing Danish archives for research and dissemination inclusive of managing coordination of language training for students to translate these materials. Identification and acquisition of collections from existing scholars and individuals highlighting those with VI linkages with high priority on the Edward Wilmoth Blyden Collections. 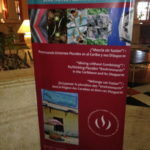 Co-sponsorship of annual symposia and conferences that focus on VI and Caribbean culture with community organizations. Coordination of existing UVI cultural activities and projects for advocacy on the importance of VI and Caribbean culture to UVI’s mission. Collaboration with UVI, the VI and the wider Caribbean community to increase awareness of existing and new cultural activities and initiatives. 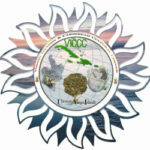 VICCC supports initiatives of: preservation, publication, restoration, cultivation, exhibition and respect for VI and Caribbean culture through research, digital technology, global interactive partnerships, and academic programs through international engagement in cultural heritage, socio-economic development and sustainability. View excerpts of the official launch at http://youtu.be/62xe3bTL6TI . Commitment to preservation of Virgin Islands and Caribbean culture as highlighted in UVI’s Pathways to Greatness plan. 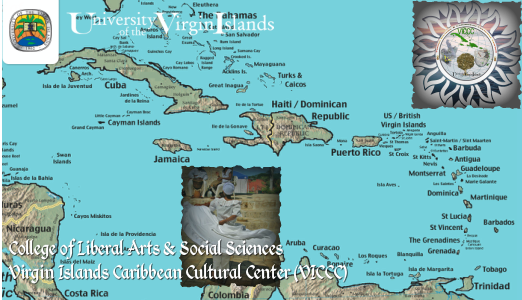 Caribbean Cultural Studies (CCS) Minor and Certificate Programs of UVI’s College of Liberal Arts and Social Sciences (CLASS). UVI CLASS Communications program and UVI’s premiere student-operated radio station, WUVI AM1090 “The Voice of the University” that streams live daily on www.wuvi.am from 6am to 6pmAST. VICCC hosts VI Caribbean Culture Notes-VICCC365 every Monday and Thursday at 1pmAST. 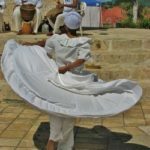 Listen and TuneIn to a January 2014 radio broadcast featuring guests from Tambuye of Puerto Rico & Nuestras Raices of St. Croix @ http://tunein.com/radio/VICCC365-Virgin-Islands-and-Caribbean-Culture-p562863/. National Park Service-St. Croix and UVI formal collaborative partnerships and memorandum of understanding. Integration of curricula development and cooperative research on culture, heritage, language and more at UVI and abroad. Cultural sensitivities within smart growth, economic development, heritage tourism, agriculture, arts and related businesses in educational opportunities provided at UVI inclusive of VI, Caribbean, American, African, European and other social perspectives. Research, publication and collaboration among regional, national and global partners on linguistics, arts, scientific studies and other disciplines impacting cultures. Partnering with organizations and individuals infusing culture with vocational, technological, socio-spiritual and academic literacy. Use of 21st century technologies to encourage respect and sustainability of cultural multi-media arts and global heritage sciences. Organization of wider alliances with cultural research and development institutions in furtherance of and in alignment with VICCC’s mission, goals and initiatives. Arrangements to provide contributions for VICCC programs, events, research and initiatives are welcomed and available by communicating your interest and scheduling an appointment. Explore the VICCC’s important role in UVI Pathways to Greatness 2017 Initiatives with a focus on the Performance Goals- Community Engagement and Globalization. http://www.uvi.edu/files/documents/Strategic_Plans/pathways_to_greatness_card.pdf. Read and Share the Fact Sheets on the VICCC and CLASS Caribbean Cultural Studies Programs.